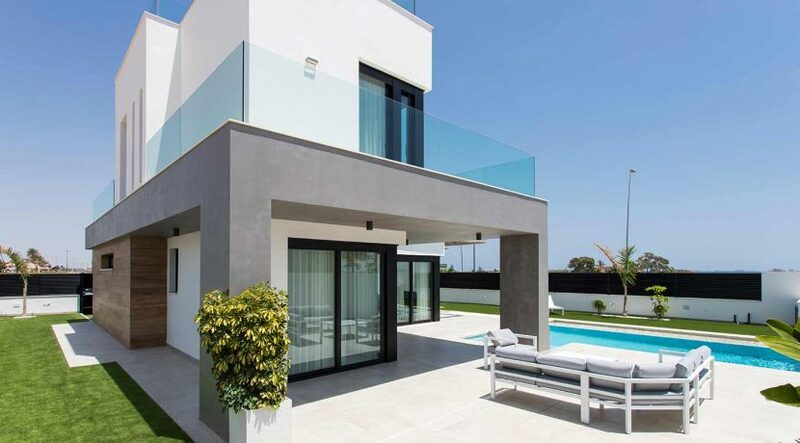 Detached villa designed in an attractive contemporary architectural design. 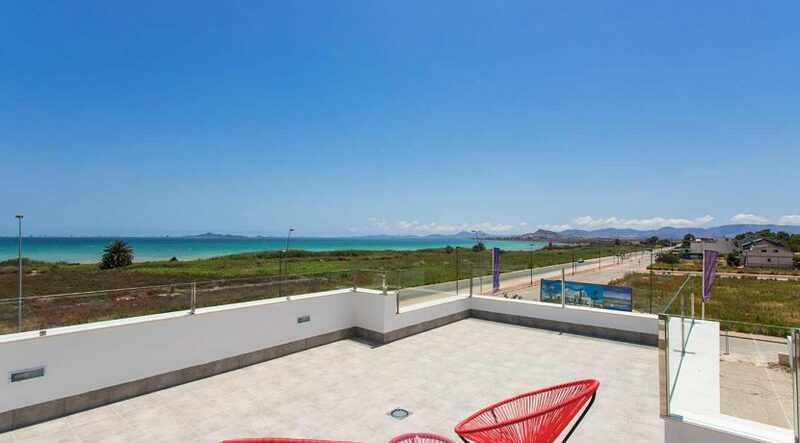 Only 2 km. 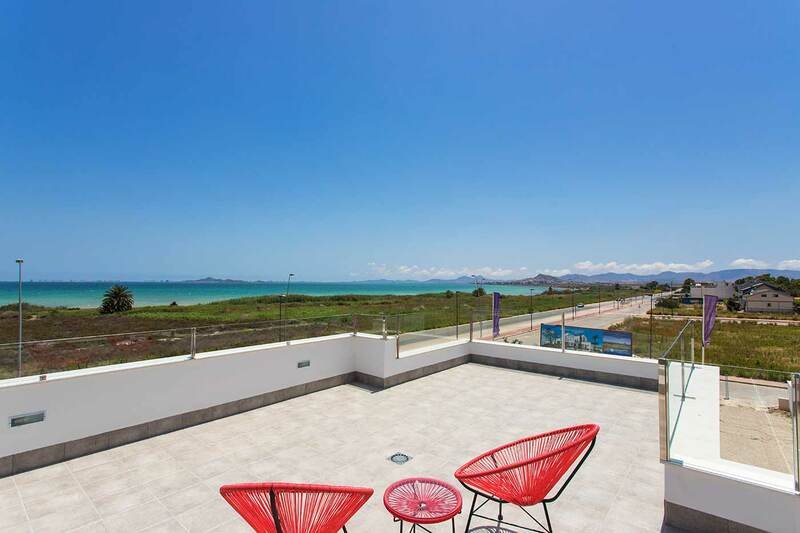 to the white sandy beaches of Mar Menor and 500 m. to the Club House of the 18-hole golf course la Serena. 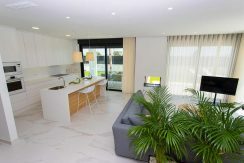 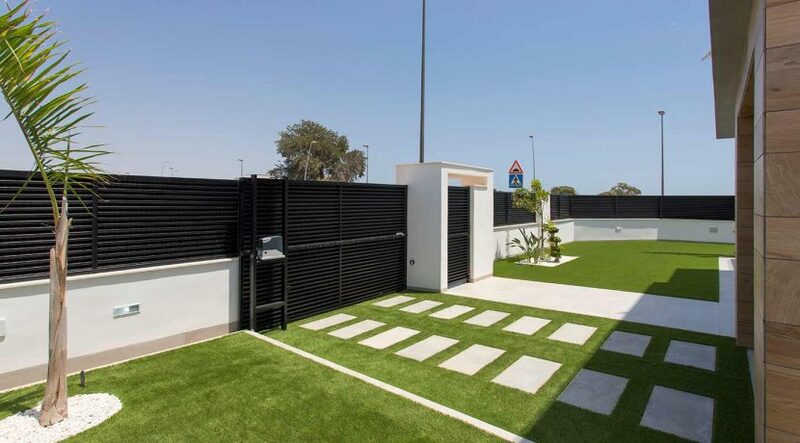 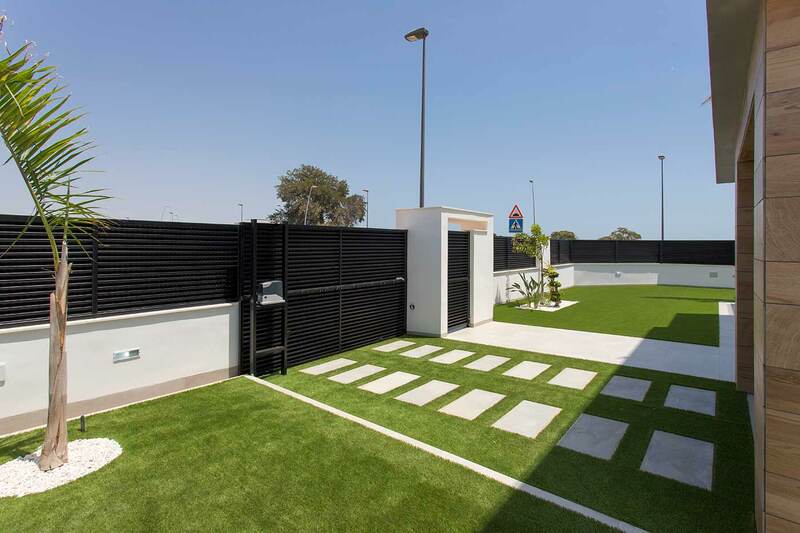 The plots, from 460 m2, come with a nicely planted, a partly tiled garden and a private pool (6×4 m). 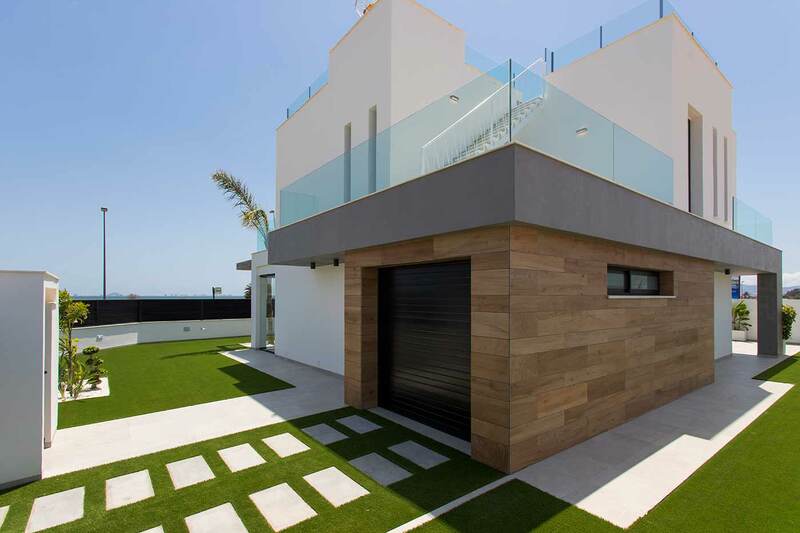 The 173 m2 large detached villa has on the ground floor an entrance hall, a garage, a spacious and bright open plan living, dining and kitchen area (39 m2) with big glass sliding doors onto the roof covered terrace and the pool (6 x 4 m), 1 bedroom and 1 bathroom. On the upper floor there are 3 bedrooms and 2 bathrooms. 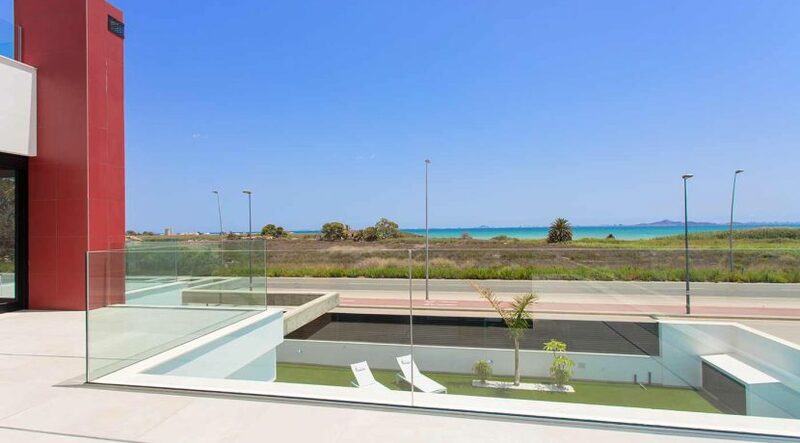 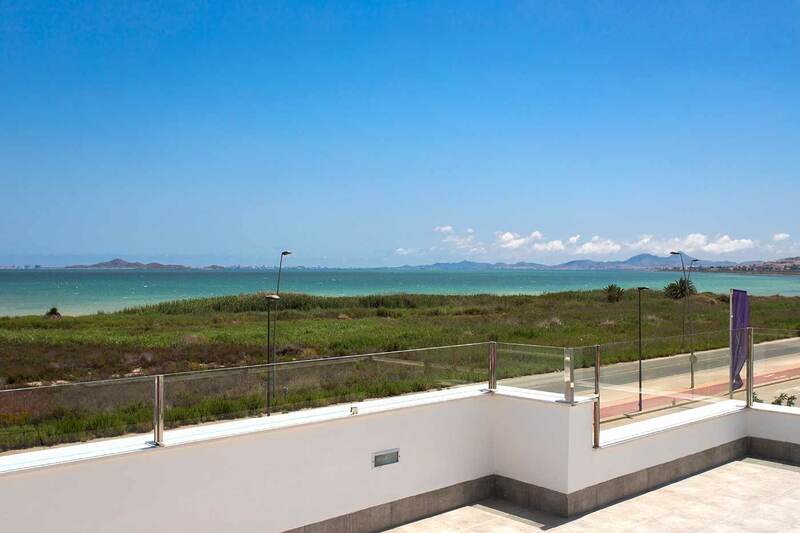 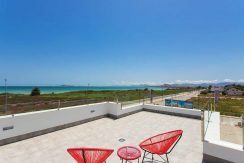 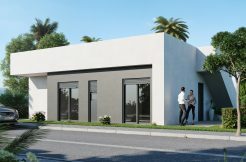 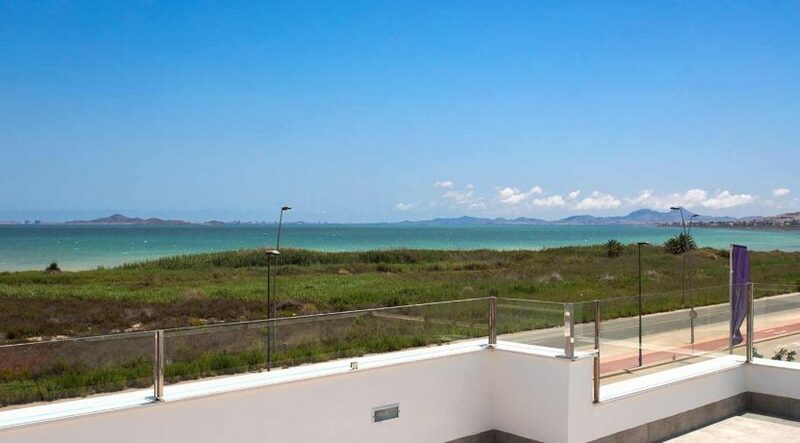 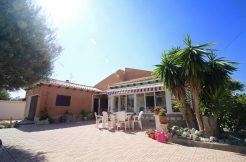 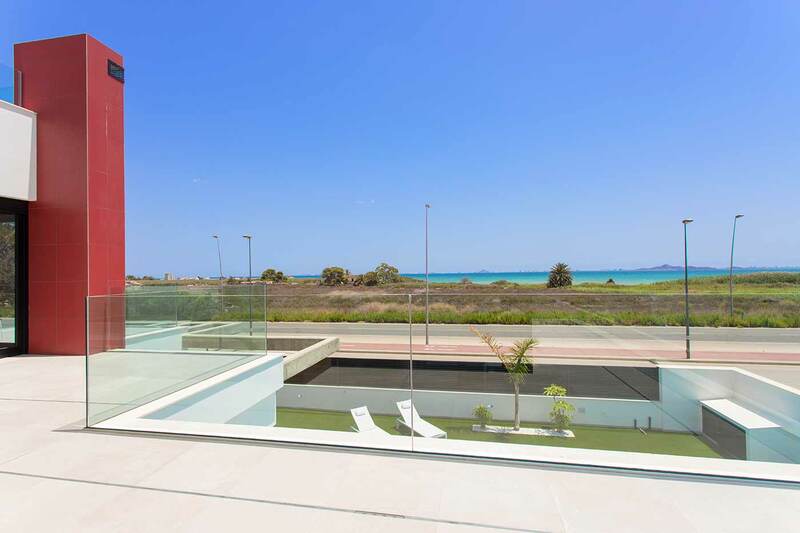 This villa can be made also as a 3 bedroom villa with an interior staircase leading up to a roof solarium with beautiful views over the Mar Menor. 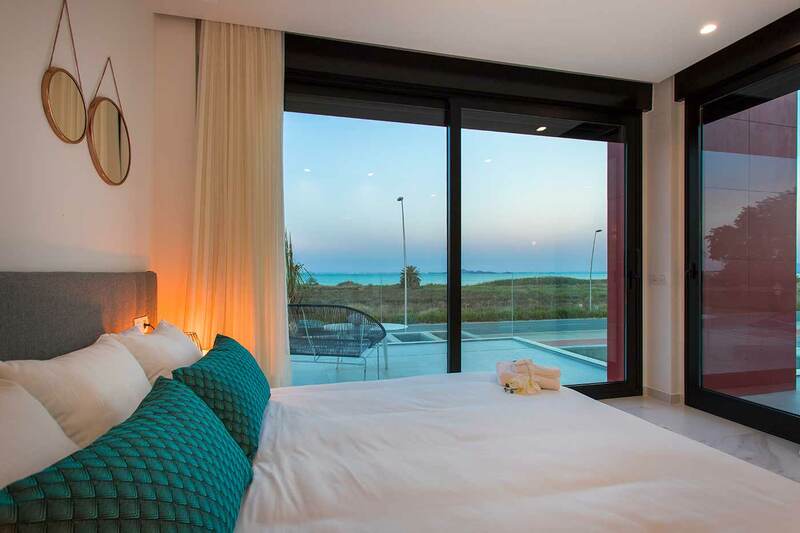 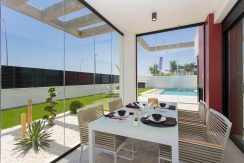 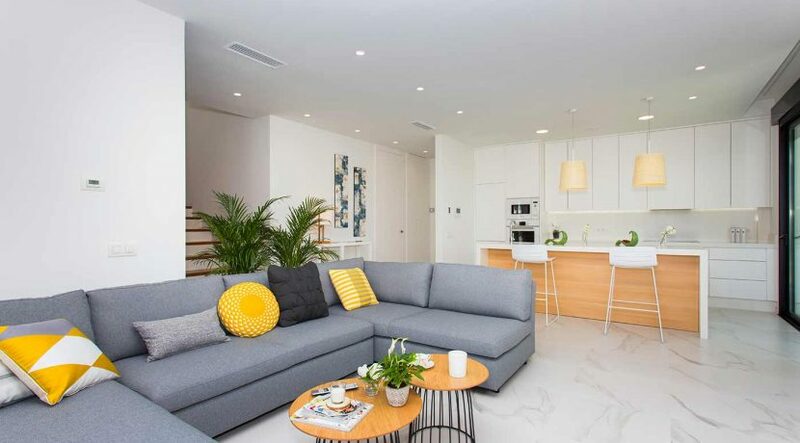 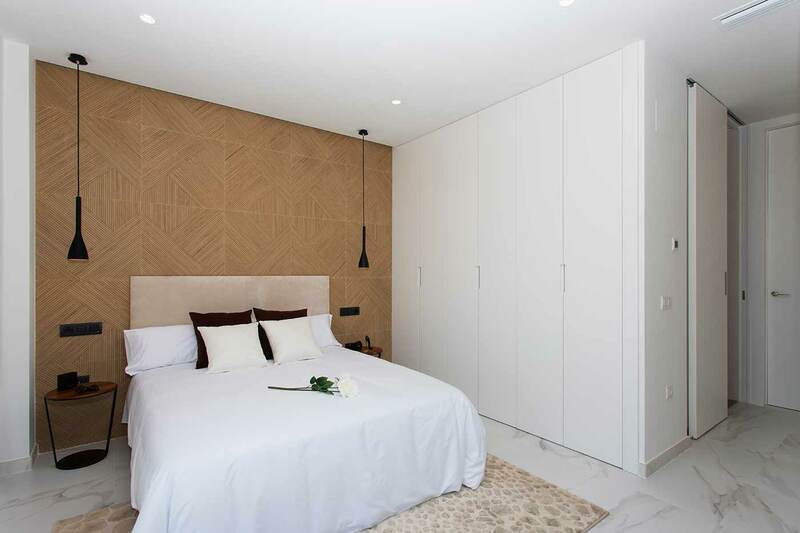 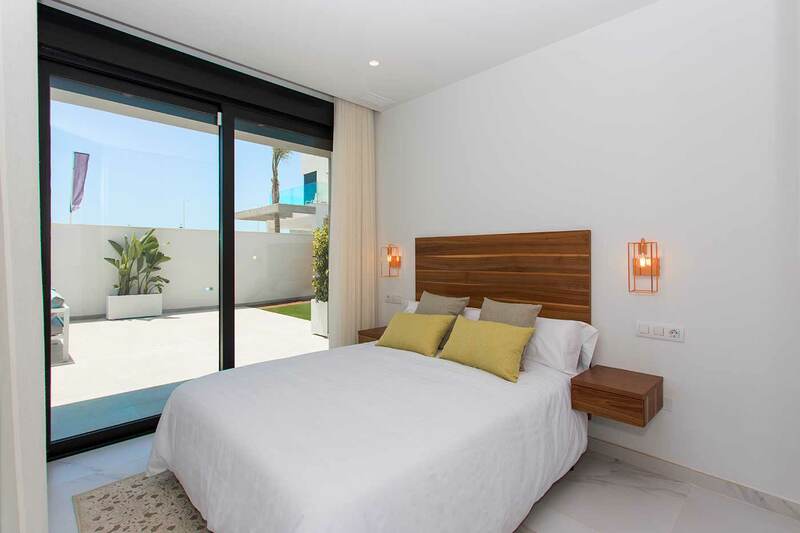 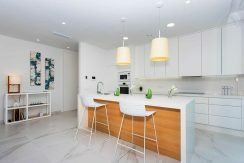 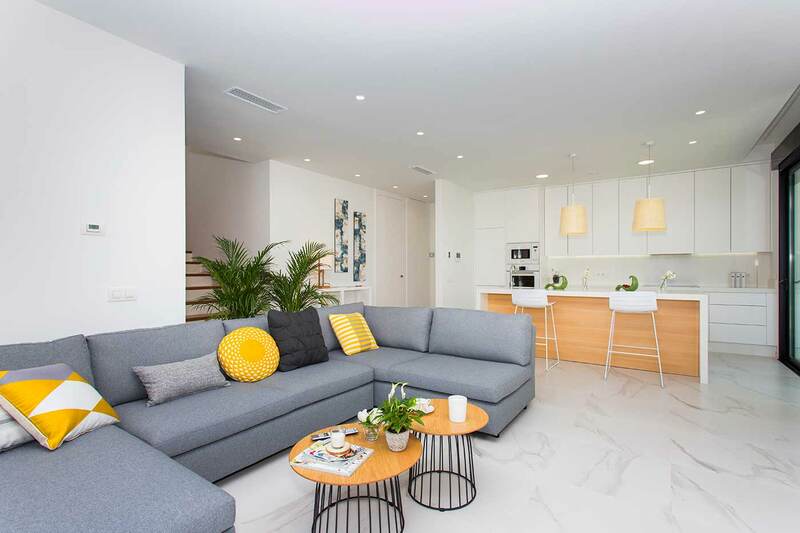 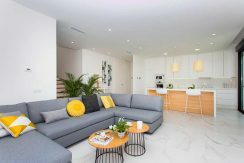 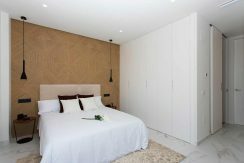 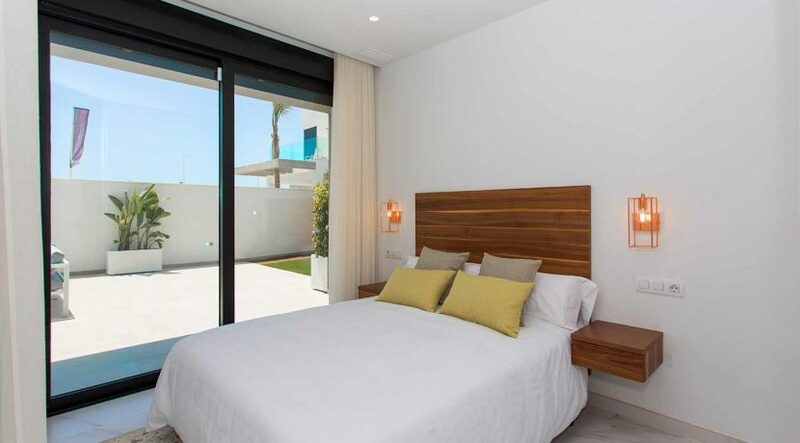 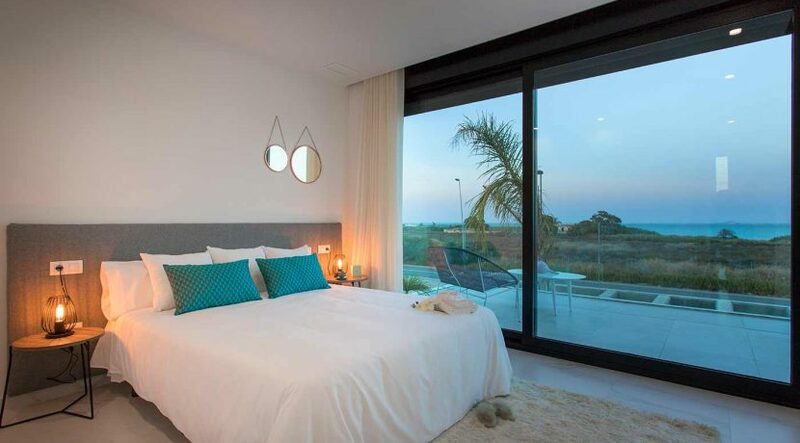 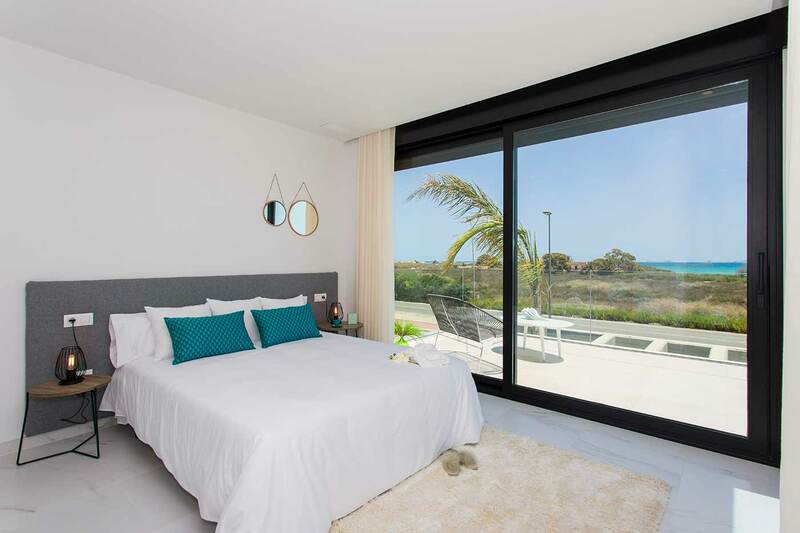 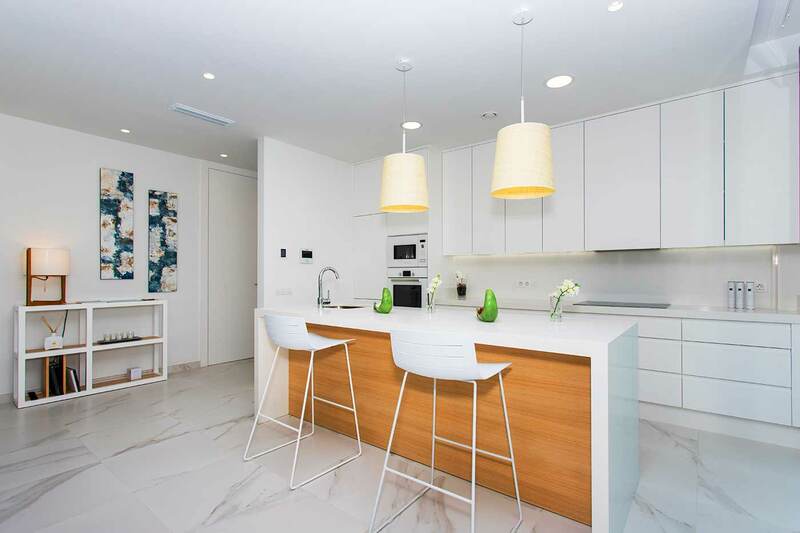 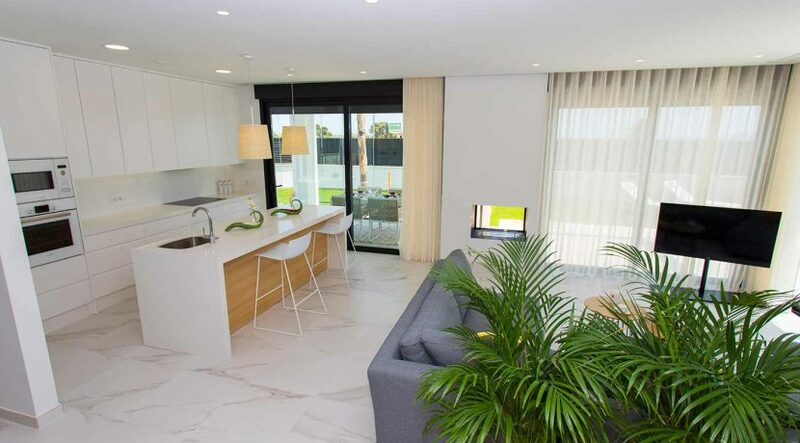 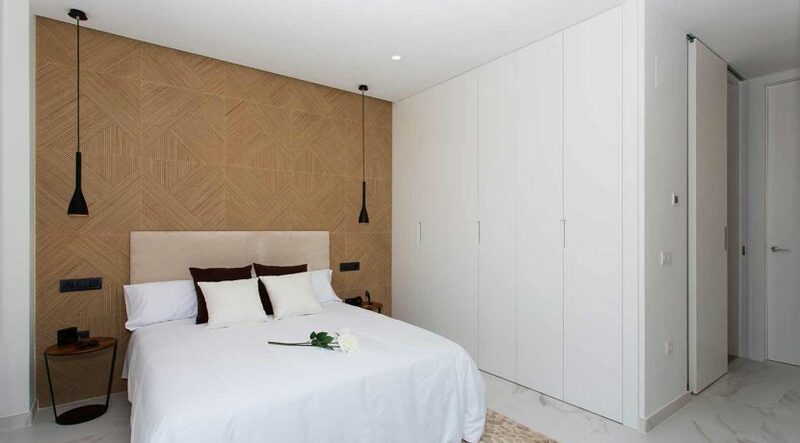 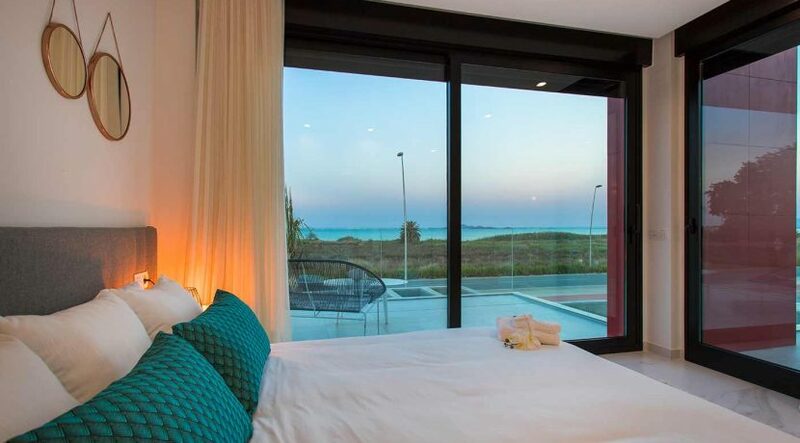 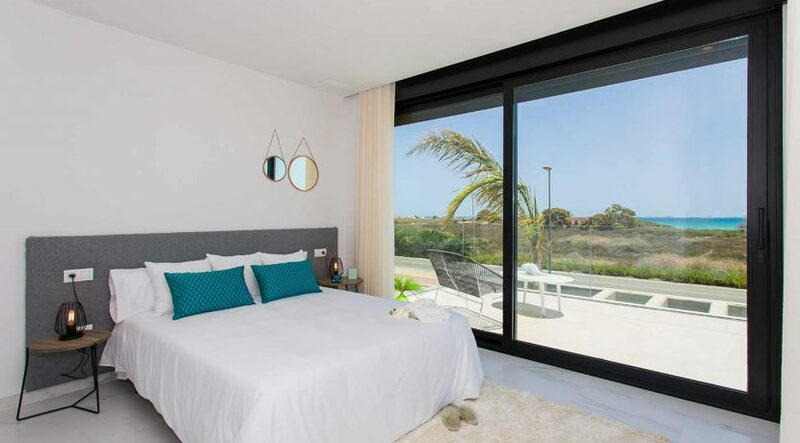 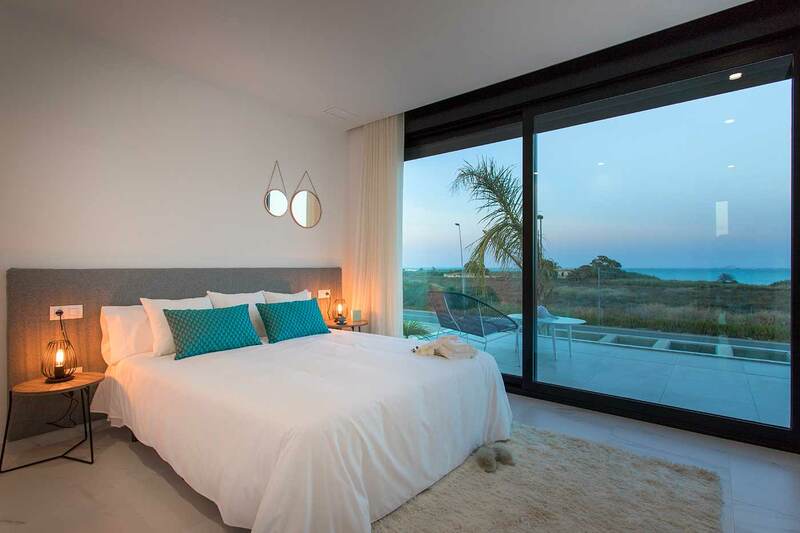 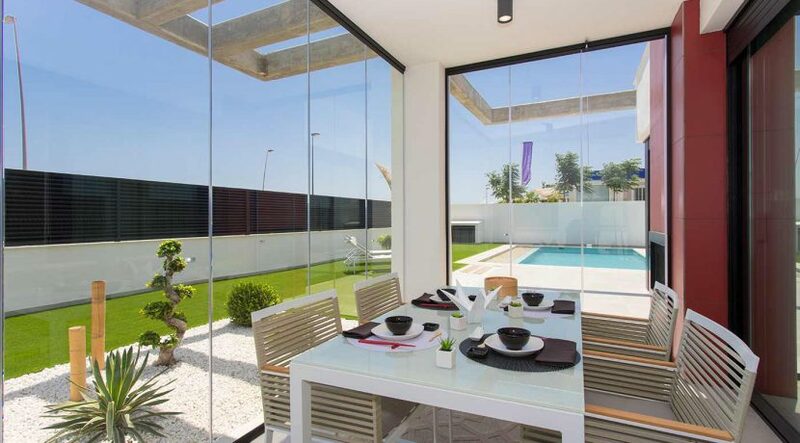 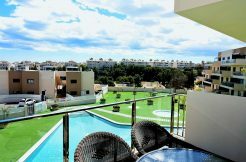 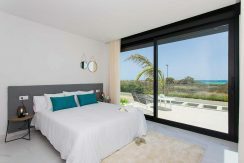 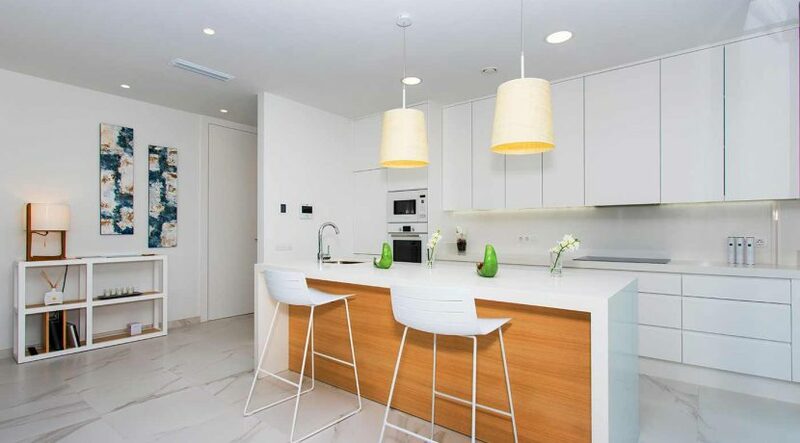 The villas come with many extras, such as smart-home installations to control the motorised blinds, the AC and the illumination, thereto underfloor heating in all bathrooms, white goods and TV and telephone sockets in all rooms. 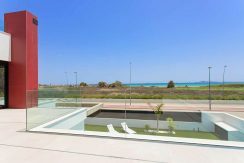 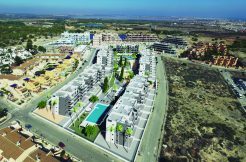 Located 10 km to San Javier Airport, and 80 km to Alicante Airport.